Today's lifehack presents a story about a local Singaporean delight - Laksa. I've noticed that (commercial) "Kopitiams" have been sprouting up everywhere around Singapore. In neighborhood estates, malls etc... I don't know about you, but I feel that some of them have really questionable food quality and taste. In particular, the ubiquitous local dish - Laksa. I have a sense that these stalls are mostly a franchise of sorts, receiving their big pot of Laksa soup from a commercial-scale production facility, then serving them into smaller bowls for your consumption. 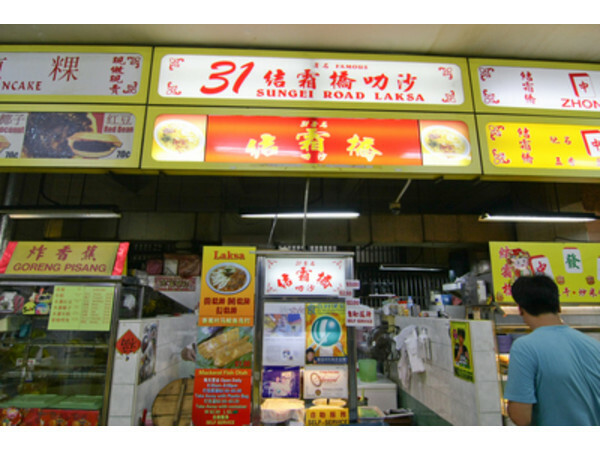 Lifehacksg#8 reveals one of the best places (where best is defined as optimal combination of quality AND price) in Singapore to get your fix of an amazing bowl of authentic Laksa - Sungei Road Laksa at 31 Kelantan Lane. A savoury meal here will set you back for just $2 - getting you a fragrant bowl of individually-cooked-over-charcoal Laksa. I've only heard good things from folks who've visited this humble stall. So indeed, great for the tummy, great for the wallet! note: cockles ('hum') lovers would be pleased to note that an additional dollar will get you a huge stack of cockles on top of your noodles!